Pfc. Thomas J. Hudspeth, son of Mr. and Mrs. T. J. Hudspeth, attended school in Blanco; husband of the former Colene Lanford. Entered Army in April, 1944, trained in Ft. Leonard Wood, Mo. 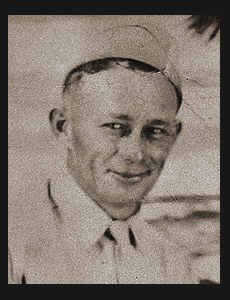 ; was discharged in Nov., 1945. Awarded Good Conduct Medal, Am. Theatre Ribbon.